As part of its workforce gap analysis, the World Economic Forum turned to LinkedIn to better understand the trends in gender equality across the workforce. Thanks to our unique insight into real-time workforce trends, LinkedIn can provide more depth, nuance, and timeliness than the sort of data historically gathered by governments or NGOs. Our data provides insight into the role women leaders play in driving overall economic equity and participation. Our research found that women represent fewer than 50% of leaders in every industry analysed - and in some fields, such as energy and mining or manufacturing, the representation of women is far lower, with women holding fewer than 20% of leadership positions. The rate of progress for women has been slow, too: over the past decade, the proportion of female leaders has increased by an average of just over 2% across the 12 industries studied. 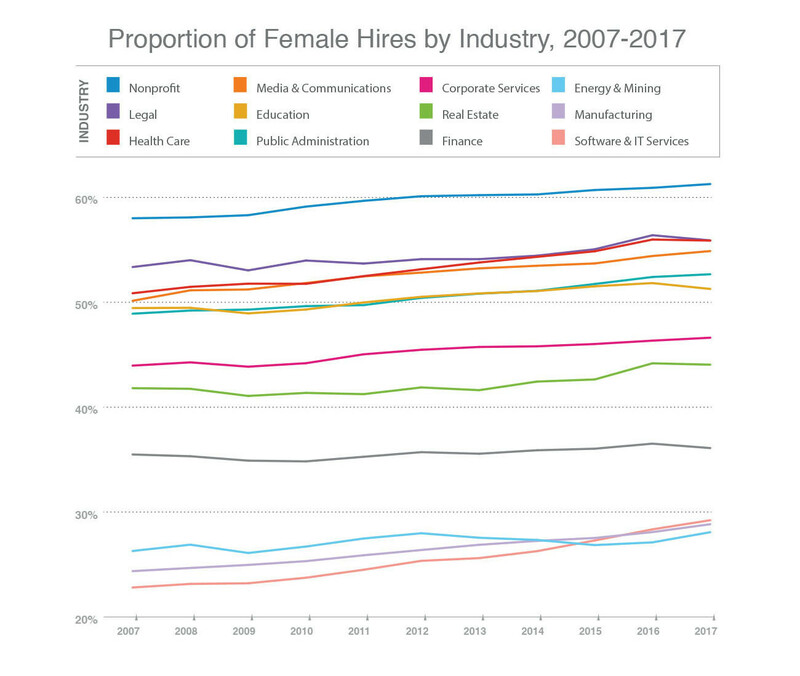 LinkedIn’s data points to only three industries where female corporate leadership exceeds 40%: healthcare, education, and the non-profit sector. 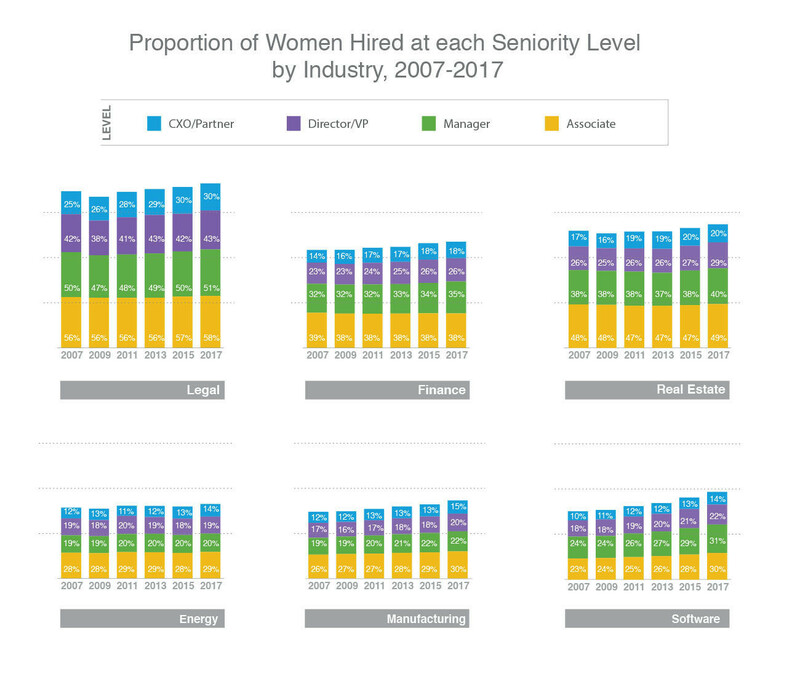 These industries have relied on female workers for generations, and have therefore perhaps provided women with more time and opportunities to work their way into senior roles. Unfortunately, as the Global Gender Gap Report also notes, historically female-dominated industries tend to pay less than those with higher male representation. When women enter a profession in large numbers, pay tends to decrease relative to other industries. This is not necessarily surprising. Numerous studies suggest that, consciously or not, individuals are more likely to hire people like them. Female candidates may also self-select into companies with higher proportions of leaders who are women, attracted to companies perceived as having more opportunities for advancement or mentorship. Additionally, prior World Economic Forum research indicates that female CEOs actually pay their high-earning women more than male CEOs do, which may create a financial incentive for women to join such companies. So if the proportion of women in leadership is growing too slowly, and these leadership positions are important for closing the overall economic opportunity gap, it is clear that we need to increase and accelerate female representation at the highest level. 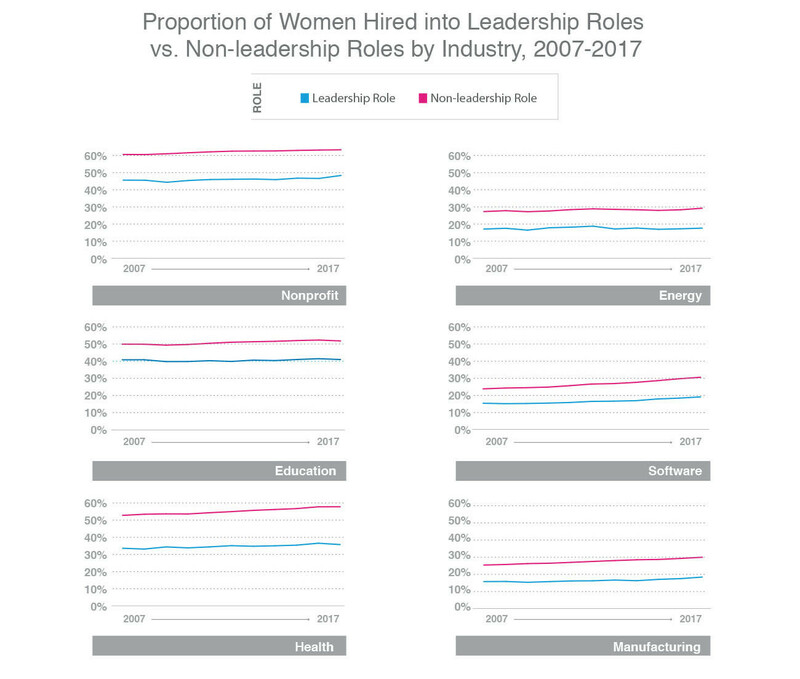 Our analysis found a strong correlation between the representation of women in leadership positions in a given industry and hiring rates for additional women leaders. The challenge of increasing the proportion of women leaders is, therefore, a Catch-22: it seems the way to get more women into leadership is by already having women in leadership. Increasing the proportions of women leaders - both through improved hiring rates for leadership positions, as well as building strong internal pipelines for promotion - could be the start of a virtuous circle, eventually leading to more equity of economic opportunity for women globally. While today’s Global Gender Gap Report demonstrates the progress that has been made over the past decade, it is clear that we still have a long way to go, especially when it comes to economic participation. Encouraging more female leadership is one of the levers for increasing gender equality in the workforce. Ultimately, however, if we are to get there, it will require men and women, at all levels, to embrace and promote diversity and inclusion.